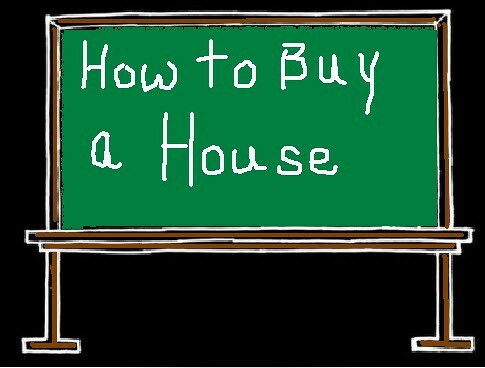 How to Own a Home in 2013! How to Buy a House: Create a budget before you shop for a home. Subtract your monthly expenses from your monthly take-home pay. Use only a portion of the remainder for your monthly housing costs (mortgage payment). Once you have a budget in mind, get pre-approved by Kara Holleran of Property Guiding. Pre-approval gives you an idea of how much you can borrow, and helps you identify potential roadblocks to approval such as a low credit score. Next, you’ll want to find an experienced agent to help you shop for a home, Kristen Pell of Property Guiding can assist you will all your home shopping needs. When you find a home that meets your needs, make an offer based on comparable sales in the area. Use those comps to establish and support your offer. Negotiate as needed, as long as you don’t exceed (A) your monthly budget and (B) the reasonable market value. Once your offer is accepted, you’ll want to have a home inspection done, and maybe a termite inspection if those pests are common in your area- Russ of Property Guiding specialize in complete inspections. The last step is called ‘closing’ or ‘settlement,’ depending on where you live and Jennifer of Property Guiding is here to help with this. This is when you sign all of the finalized paperwork, pay your closing costs, and get your keys! In 2013 We at Property Guiding would love to help you make your New Year’s resolution come true! Posted on January 7, 2013, in Finance and tagged Budget, Buy a Home, Closing, Finance Me, Fort Myers, Genesis Lending Group, Inspections, Kara Holleran, Kristen Pell, Loan, Mortgage, Mortgage Payment, New Year's Resolution, Pre Qualification, Pre-Approved, Property Guiding, Real Estate Biz, Real Estate Financing, Realtor, Settlement, SWFL Real Estate, Take-Home Pay, Termite Inspection. Bookmark the permalink. Leave a comment.